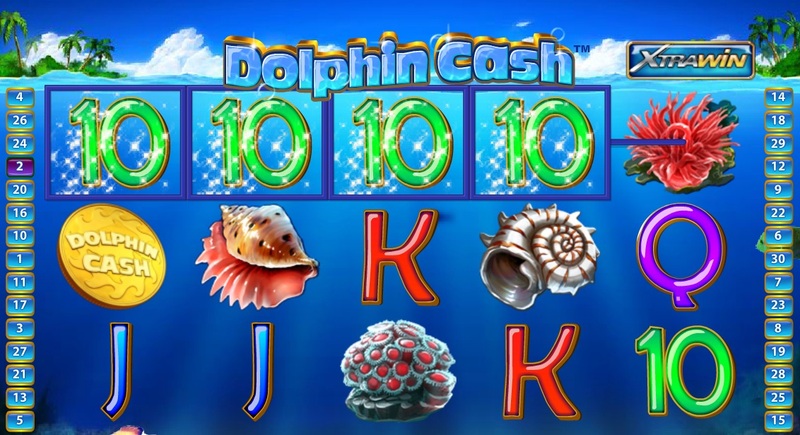 Dolphin Cash slots is an underwater adventure from Playtech featuring the Xtra Win side bet that can lead to massive wins. There are 30 paylines and 5 reels and a top win of 4,000 coins as well as two great bonus games. The game includes shifting wilds, the wild symbol (a dolphin) only appears on the 5th reel, however, each time it appears it will move one reel to the left on each successive spin. Spin five wilds to claim the 4,000 coin payout. If the Xtra Win side bet is active then the wild symbol will expand to one extra reel position, this means that you can hit the top jackpot on multiple lines and also get the other pays on multiple lines. Free spins can be won from the coin scatter symbol, if you spin three or more than you are rewarded with 12 free spins with a 3x multiplier. There is also a Dolphin Jump Bonus game, this is triggered when the bonus symbol appears anywhere on the first and last reels. Then in the animated bonus round the dolphins will jump to collect extra coins for you. This is a fun underwater game which is sure to keep you entertained. 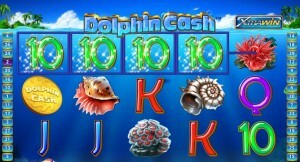 Check out some crisp screen shots of Dolphin Cash and read more about it at http://www.dolphincashslots.com.